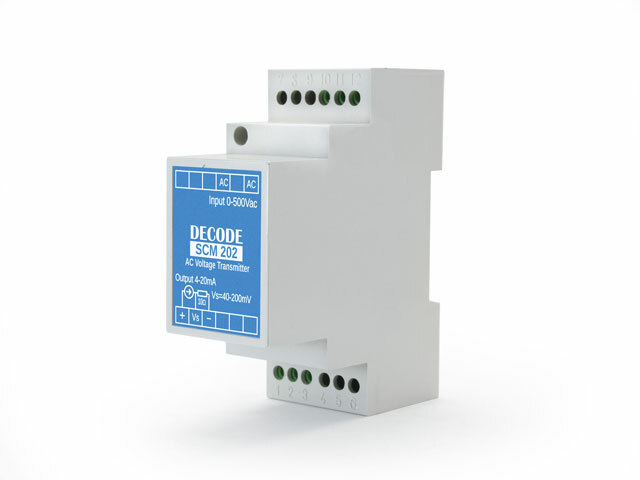 SCM 202 is a galvanic isolated transducer for 35mm DIN rail mounting that converts input – alternate voltage (0-500V AC), to 4-20mA current. Conversion is proportional and linear. Transducer is supplied from measurement loop since output connection (4/20mA current) is passive 2-wire. It is possible to adjust zero current and conversion span. By connecting voltmeter to test connectors it is possible to monitor loop current without interrupting it. SCM 202 signal conditioner is used for safe voltage measuring motors, pumps, heaters and other devices which are intended to use this voltage range. Analog signal conditioners convert, isolate, and amplify signals. 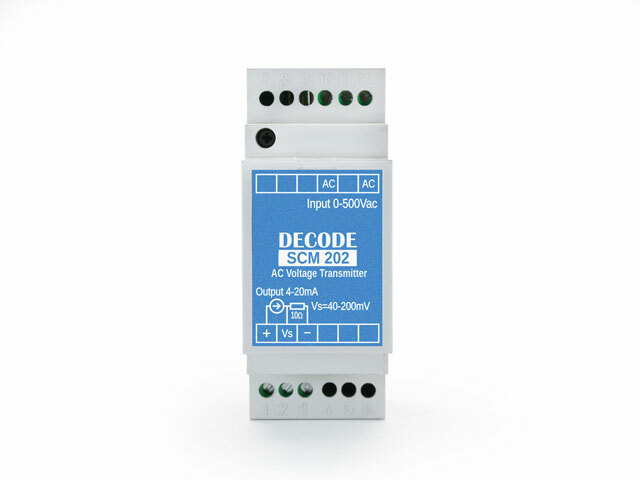 SCM202 can convert voltage signals to standard 4 to 20 mA signals. 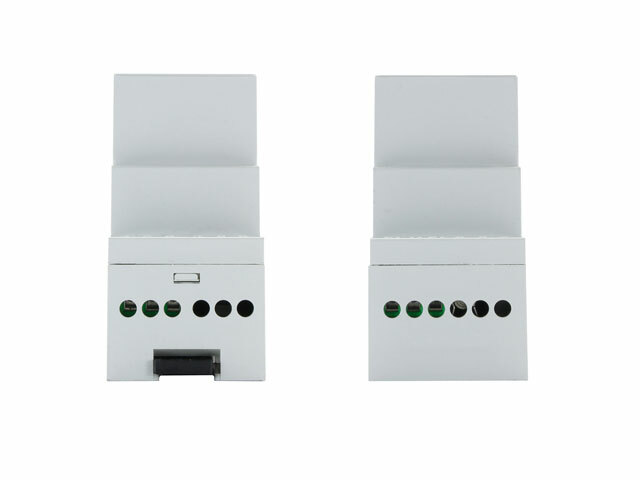 Also, it can isolate multiple field-measurement devices on a common power supply to help prevent interference that can occur due to ground loops or common-mode noise.